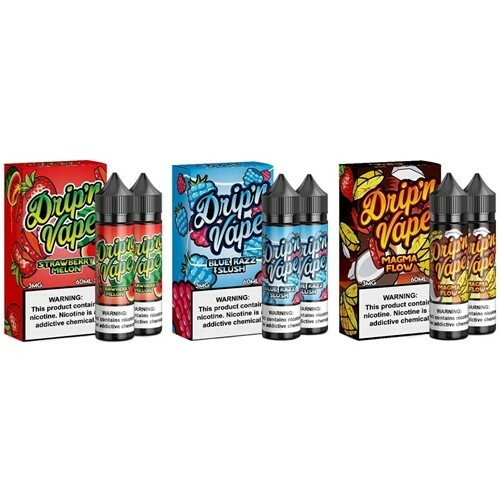 Drip'n Vape 120ml E-Juice. 2 x 60ml E-Juices In A Box. 1ct. Available In Magma Flow, Bluerazz Slushy, Grape It Up or Strawberry Melon. 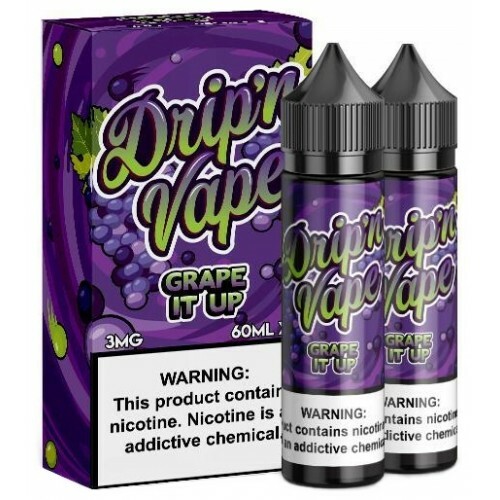 Grape It Up by Drip'n Vape is like drinking that grape soda we all loved growing up. Strawberry Melon ejuice by Drip'n Vape is the flavor of a fresh and thirst quenching mixture of ripe strawberries and juicy watermelons. Take two of your favorite fruit and blend them together, makes the most exquisite flavor your taste buds could imagine. Drip 'N Vape Strawberry Melon ejuice provides a sweet strawberry inhale with juicy notes of watermelon on the exhale. Packaged in a 120ml eliquid bottle.